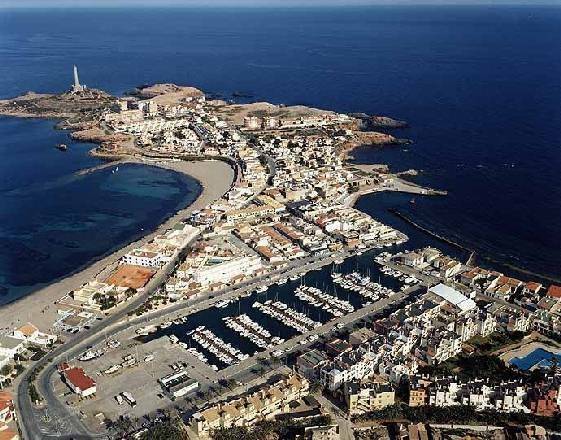 ﻿ Conózcanos | Faro del Mediterráneo, es una plataforma de información que alberga todos los contenidos de interés, que resultan relevantes para que, desde el extranjero, se “sitúe a Cartagena en el mapa”. The Comarca de Cartagena covers an area of 1,600 km2, and apart from the port and the city itself, it includes the municipalities of La Unión, Fuente Álamo and Mazarrón. Enjoying over 300 days of sunshine a year and an average year-round temperature of 20ºC, the area is on the shore of the Mediterranean and is rich in natural resources, including agricultural zones where fruit and vegetables are grown, fishing and mining. There is also significant industry in the area, including the Repsol refinery in the Valley of Escombreras and the Sabic Innovative Plastics plant. The whole area is currently undergoing a process of growth, driven by traditional sectors such as tourism, industry and real estate, and this has made it possible for new objectives to be set for the future, based on research and investigation. Activity in these fields is supported by institutions like the Instituto de Fomento de la Región de Murcia, the Universidad Politécnica de Cartagena and a whole range of organisations which encourage development and the sustainable and more efficient use of resources.